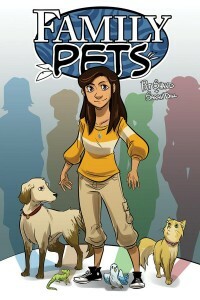 The new black & white graphic novel Family Pets (published by Zenescope Entertainment) was recently reviewed at the University of Washington’s daily newspaper web site, of all places. “After her parents’ death, 16-year-old Thomasina has been wishing for something exciting to happen in her ordinary, lonely life. One morning, she wakes up to find her foster family has turned into pet animals, and her pet snake Sebastian has transformed into a man. 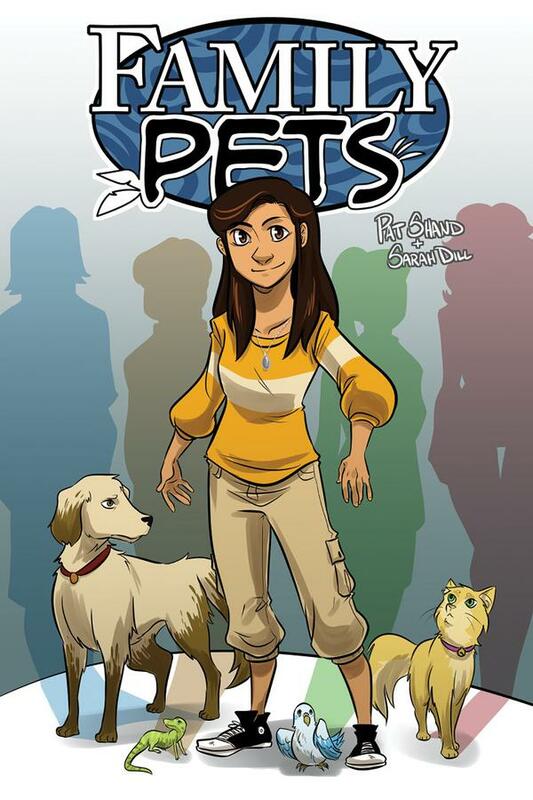 With the help of her wizard friend Smitty, Thomasina and Sebastian embark on a magical journey to the wizard world to find a way to reverse the spell placed on the family.” Family Pets was written by Pat Shand, with illustration by Sarah Dill.